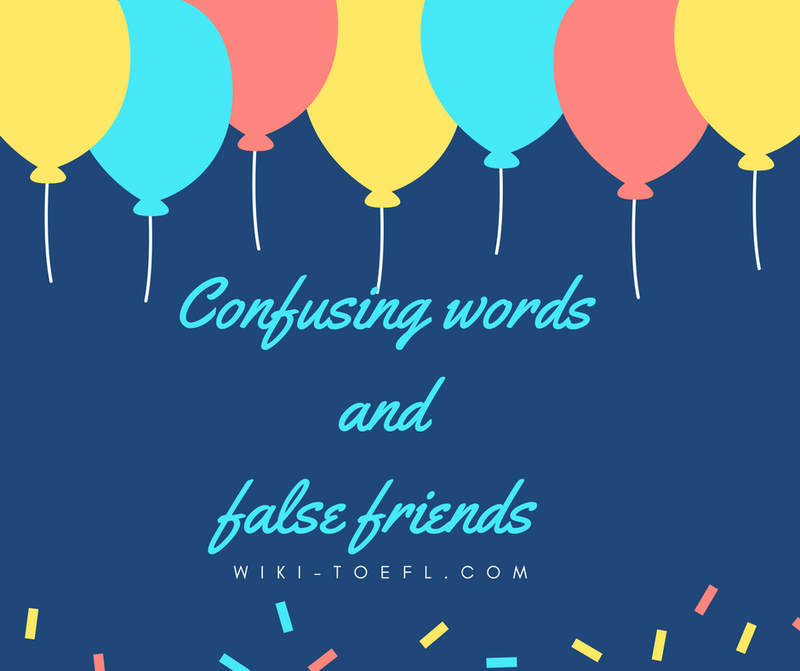 False friends are words in English which have a similar-looking word in another language but which have a different meaning. Complete the following sentences with the appropriate word in bold. 1. action / activity The police took immediate ____________ when they realised the situation was getting out of hand. Economic ____________ stagnated as the recession took hold. 2. advice / advise Can you ____________ me on the best course of action to take? He offered me some excellent ____________ . 3. affect / effect Cuts in spending will have a serious ____________ on the healthcare services. The strike will seriously ____________ train services. 4. appreciable / appreciative There is an ____________ difference between manslaughter and murder. She was very ____________ of our efforts to help. 5. assumption / presumption They raised taxes on the ____________ that it would help control spending. It’s sheer ____________ for the government to suggest things have improved since they came to power. 6. avoid / prevent Rapid government reforms managed to ____________ a revolution taking place. He’s always trying to ____________ taking a decision if he can help it. 7. beside / besides The office is just ____________ the railway station. ____________ their regular daytime job, many people do extra work in the evening. 8. briefly / shortly ____________ before the conflict began, the army pulled down the border posts. The senator spoke ____________ about the need for political reform. 9. channel / canal The television ____________ received a formal complaint about the program. The Suez ____________ was built in the second half of the nineteenth century. 10. conscientious / conscious Most people are ____________ of the need to protect the environment. ____________ workers should be rewarded for their hard work. 11. continual / continuous A ____________ trade embargo has badly affected the economic infrastructure. The computer has given us ____________ problems ever since we installed it. 12. control / inspect Environmental health officers regularly ____________ kitchens and other food preparation areas. The government plans to ____________ the price of meat to make sure it doesn’t go up too much.